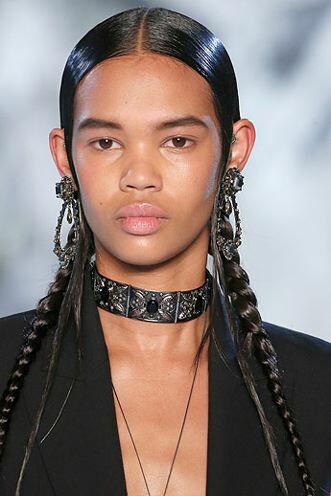 Spotted on the ALEXANDER MCQUEEN runway, these easy-to-rock plaits are a dream for day-three hair. Simply part the hair and bring a few loose strands or curls in front of the ears before plaiting the rest into two neat braids. Liberally spritz with Rusk Argan Oil, £10.99, to create shine and team with matte skin and a gorgeous glossy lip. Would you try this look? Let us know on Instagram, Twitter or Facebook!